Someone in the world develops dementia every 3 seconds. This is just one of the astounding statistics to come out of Alzheimer’s Disease International’s World Alzheimer’s Report 2015 ‘The Global Impact of Dementia: An analysis of prevalence, incidence, cost and trends’, released today in London. The report found there are currently 46.8 million people living with dementia around the world, with numbers projected to nearly double every 20 years, increasing to 74.7 million by 2030. The report also indicated that the current annual cost of dementia is US $818 billion, and is expected to become a trillion dollar disease in just three years’ time. This shows that the cost of dementia has increased by 35% since the 2010 World Alzheimer’s Report which estimated US $604 billion. The updated estimates on dementia’s global prevalence, incidence and cost are based on new research led by Professor Martin Prince from King’s College London’s Global Observatory for Ageing and Dementia Care1. The report has highlighted dementia’s increasing impact on low and middle income countries (LMICs). It is estimated that 58% of all people living with dementia today reside in LMICs, a proportion that is anticipated to rise to 68% by 2050, driven mainly by population growth and an ageing global population. 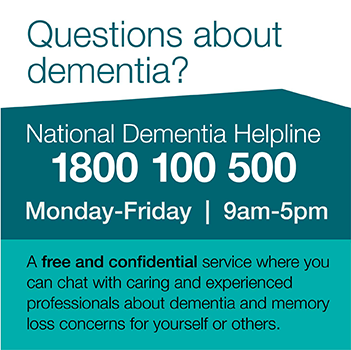 Each country should develop its own national dementia strategy as a framework for action. Are our older Australians slipping through the health care gaps? Diagnosing dementia – what does the future hold? Did you know today is World Alzheimer’s Day?